Before I divulge more into the games of E3 themselves, I thought I’d write a little something in regards to Nintendo’s E3 “Digital Event.” Unlike most people on the internet, I’ll write something a little more in-depth than “Dear Nintendo, u suk!” In fact, I am really wondering where all this Nintendo hatred is coming from regarding their E3 showing (aside from typical gamer entitlement, that is). Was it a great E3 for Nintendo? No. Their presentation was lacking big surprises, and things were generally predictable. But there’s a fine difference between uneventful and bad. I found that there was little “bad” about Nintendo’s presence at E3, but it could fall under the “uneventful” category. Overall, if I were to give the presentations a letter grade, I’d say Nintendo’s probably fit into the B+ range. The fact that things went pretty much as expected prevents it from reaching into the A categories, but I don’t see anything wrong with most of the games that were present. What I want to know is what exactly were gamers expecting? We all know Nintendo is working on their next home console (which they had already announced some time ago wouldn’t be at the event), and that they already had a pretty big lineup of games announced. Hoping for a slew of big reveals was just unrealistic. I know people will say that E3 is the time to make big surprise announcements, but Nintendo (or anyone else) can’t just whip up a brand new game for the sake of an E3 reveal. I repeat, what exactly were people expecting? Sure, Zelda wasn’t there (and again, Nintendo previously announced that it wouldn’t be, so it’s not like they got anyone’s hopes up), but despite what the internet likes to think, Nintendo is more than just Zelda. Super Mario Maker went from being a promising curiosity into a must-have AAA Nintendo exclusive during the event, Star Fox made its long-awaited return with Star Fox Zero, Xenoblade Chronicles X is still on the horizon (though unfortunately delayed), and Yoshi’s Woolly World looks to bring an added flair of creativity to the Wii U. Zelda is still coming to the Wii U, but these four games more than fill the gap of Zelda’s no-show this year. Then there were the 3DS games, of which there were many: The Legend of Zelda: Tri Force Heroes aims to revive multiplayer Zeldas. Animal Crossing will be getting a spinoff with Animal Crossing: Happy Home Designer. 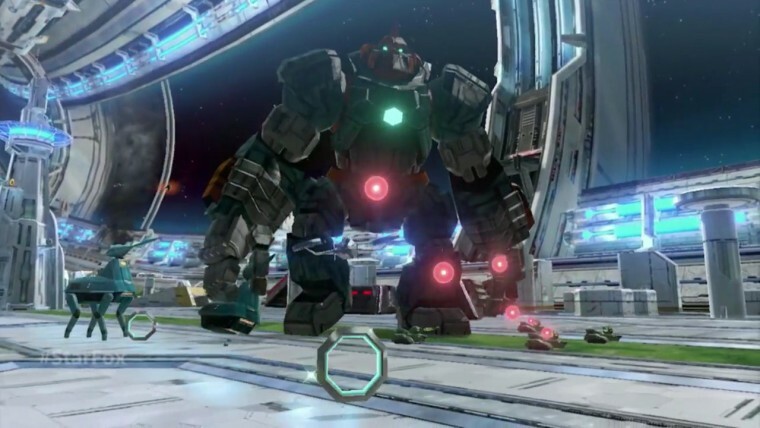 Metroid Prime: Federation Force may not be the Metroid people have been asking for, but after Other M I welcome the change of style. Mario & Luigi: Paper Jam (a personal highlight for me) will see Mario’s two ongoing RPG series come to a head. And Fire Emblem Fates looks to continue the series’ steam after the critically acclaimed Fire Emblem Awakening. That’s just naming a few of the titles Nintendo showed off. I admit there were some disappointments. The sheer insistence on Amiibo stands out. They’re a fun idea, but Nintendo is starting to force them a bit too much onto their games. This was especially prominent with the reveal of Animal Crossing: Amiibo Festival. This is a different Animal Crossing spinoff for the Wii U, and works like a Mario Party-style board game with a focus on Amiibo. Being a fan of Animal Crossing, I’d prefer a more traditional Wii U entry over something that seems to require Amiibo to get the full enjoyment out of it. The abundance of Amiibo coupled with the aforementioned lack of surprises were Nintendo’s biggest follies of E3. But honestly, everything else was solid. The Wii U looks to have a strong lineup of first-party titles throughout the remainder of 2015, and the 3DS is still a handheld to be reckoned with. I can understand some disappointment on the part of some gamers, but the sheer hatred and childish backlash Nintendo is receiving is downright ridiculous. I feel gamers have just become entitled, and if things don’t go exactly the way they want, they throw a hissy fit about it like spoiled children. This seems doubly true for Nintendo fans. Some may call me a fanboy for defending Nintendo, but I’d say the real fanboys are the ones acting like Nintendo has betrayed them just because Zelda and Samus didn’t show up (well, they kind of did, but not in the exact way gamers wanted). 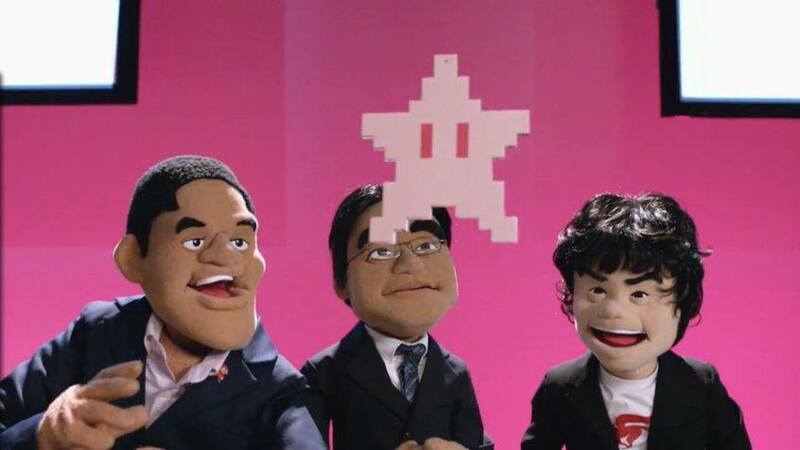 Was Nintendo’s E3 presentation great? No. But it was also far from the abomination gamers on the internet are making it out to be. We’ve been asking for a new Star Fox for years, and we’re finally getting one. We rallied for Mother to see a US release for decades, and it finally happened. We’ll see a host of other worthwhile games on Nintendo’s horizon like Xenoblade Chronicles X and Super Mario Maker, among others. But things didn’t pander to our every gaming need, so naturally this means Nintendo is an evil organization of super villains who seek to destroy our happiness. Gamer logic. It’s alright to be letdown if you didn’t see the big new announcement you wanted. But the way gamers go about this stuff is absurd. Nintendo’s E3 was solid, if unremarkable. But there’s no need to cry about it. I feel the same way you do. Gamers just being too entitled, thinking it’s the end of the world because something isn’t announced or isn’t the game they want it to be. Especially when it came to Shin Megami Tensei X Fire Emblem. The hate for that game reminded me of the hate Wind Waker got from the dudebro children back in 2003. Also, I see you didn’t mention SMT X FE in your blog. What are your current thoughts on that game, if you have any? My apologies, I intended to mention Shin Megami Tensei X Fire Emblem in my paragraph about upcoming 3DS games, but I suppose I forgot amidst the sea of 3DS titles on the horizon. I think the game could be great. I’m not the most knowledgeable person in regards to Fire Emblem or Shin Megami Tensei, but I know both of them are in a great position right now in terms of popularity and acclaim. So the crossover makes sense. I’ll definitely be looking into that one. Sure, there were some nice things, but getting two Animal Crossing spin-offs (one that is made to force Amiibos down our throats and the other to sell cards) instead of the real deal (a Wii U version of the game), a Metroid spin-off that should not carry the title of the series given how different it is (and I honestly feel it is a bit too generic-looking), and a Zelda game that re-uses the A Link Between Worlds art style and uses it on a multiplayer dungeon-focused Zelda (which I am sure will be fun), feel like a slap to the face. I don’t think companies should always give gamers what they want, otherwise some franchises would never evolve, but Nintendo took it a bit too far with Metroid and Animal Crossing. It has been thirteen years since the last Metroid sidescroller and five years since Other M, and we get a multiplayer shooter with the name Metroid attatched to it… I am not sure what Nintendo was thinking. 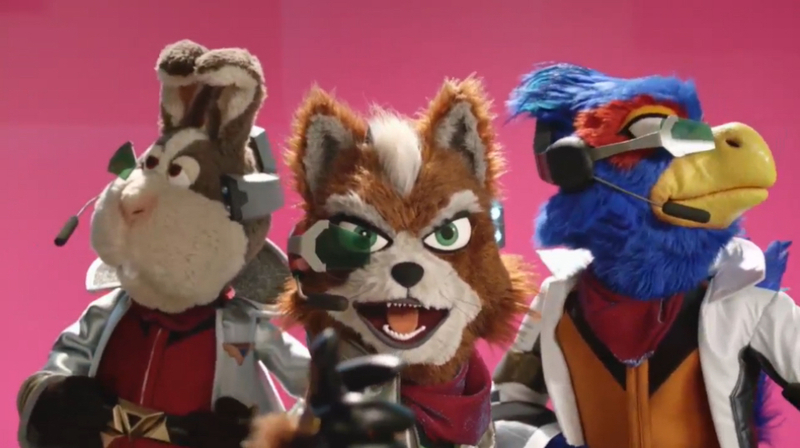 At least Super Mario Maker, Star Fox, and Mario & Luigi look awesome! I think both the Metroid and Zelda 3DS games look fun, though I agree the former didn’t have to be a Metroid game and the latrer mostly looks like it’s reusing ideas from past games. Like I said, the two great flaws with Nintendo’s E3 were the utter lack of surprises and all the Amiibo stuff. But there really was nothing wrong with the majority of games they had. I guess that the Metroid, Zelda, Amiibo Festival, and Mario & Luigi games were meant to be surprises, but only the last one had a considerable positive impact. I guess they sort of overestimated what they had to show. The energy was there and the puppets were silly fun, but everything else was lacking tbh. The M&L and Paper Mario crossover was probably the best part of the direct as it was something new and unexpected, otherwise, it was a lot of reused content from the last E3 or previous directs without really adding much on them (in FE Fates case, they even didn’t go on detail of the new features a previous japanese released videos gave details about). Sure, we saw how Mario maker looks better, but that was already demonstrated at the Championship event on sunday so… But I’m honestly not surprised, I had little expectations when they set apart the Smash 4 announcements. E3 as a whole didn’t really impress me this time, I’ll give props for some big announcements like Fallout 4 or the Final Fantasy 7 remake, but neither of them are games I’d get. It’s nice to see Rare do something other than Kinect games too, I guess. I’d say finally seeing TLG alive was a great surprise, but considering it moved onto PS4 with very little changes from when the game was revealed ages ago, I’m no longer interested in it (looking more Ico than SotC probably doesn’t help either, as I personally could not stand it). To close this comment, the conference was underwhelming and one of Nintendo’s weakest for sure, but there has been worse stuff, even at this E3 (Square, Ubisoft and probably EA). With that said though, I don’t think any of the big presentations were really bad, either. I remember 2012 left me a bit disheartened with pretty much everyone but Ubisoft. Here, I maybe felt underwhelmed by the big names, but they’ve all done worse. I find that I don’t really pay much attention to E3 for the same reason I don’t take movie trailers seriously: because of the dissonance between the hype surrounding a work and its actual quality. There are more good trailers than good movies, after all. I never played Metroid: Other M because it got a lot of bad word of mouth when it was released, so I decided I wasn’t going to waste my time with it. After watching someone’s Let’s Play of the game, I can safely say I made the right choice. “Terrible” does not even begin to describe the writing of that game. It would have been a shame if that was the note the franchise ended on, especially after all of the goodwill created by the Prime trilogy. I really like the Fire Emblem series, so I really hope the new game turns out great. Awakening is possibly my favorite game in the series, but I also enjoyed Genealogy of the Holy War and Path of Radiance. 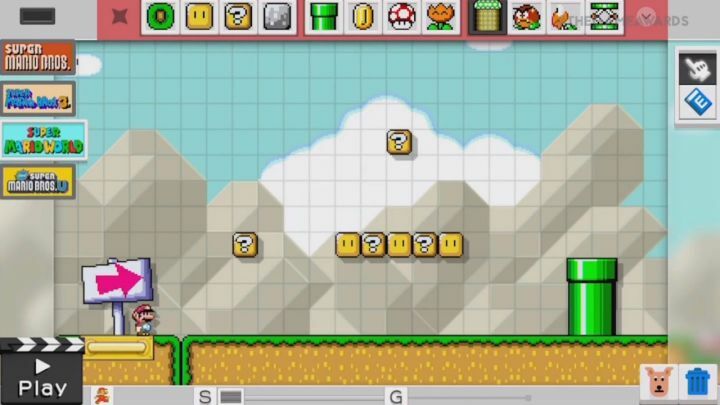 Mario Maker seems like the kind of thing I could spend hours with; I know as a kid, one of my favorite things in games that featured them was playing around with level editors. I especially have fond memories of making custom tracks in Excitebike 64.